Super-fast Track Project of 10,000 SQFT Slate Roofing, 10,000 SQFT of EPDM rubber waterproofing, 12,100 SQFT of metal wall panels and soffits, 189,000 SQFT of Johns Manville 4-ply built-up roofing system, and over 2 miles of fabricated gutters, downspouts, coping, and gravel guard. 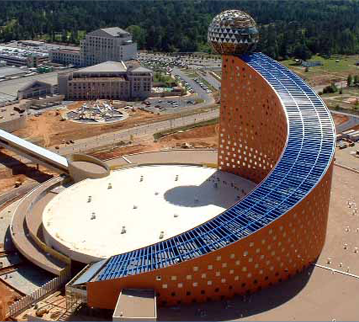 Most projects are fast-track, but the Dogwood Festival outdoor mall was even faster. The entire project, from groundbreaking, was completed in just 8 months. 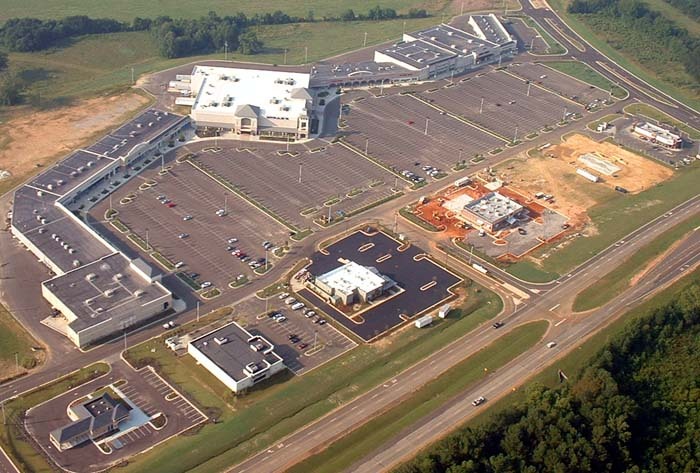 The roofing portion of the project had to coordinate and follow construction very tightly, building-to-building, in order to meet the schedule. As part of the roofing, different facades had to be tied together. The result is an impressive center featuring slate, metal, and EPDM rubber waterproofing. 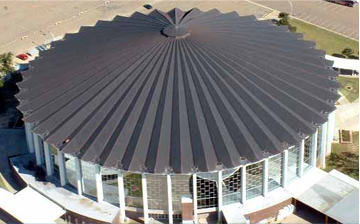 The roofing system incorporates 189,000 SQFT of Johns Manville 4-ply built-up roofing system, 12,100 SQFT of metal wall panels and soffits, 10,000 SQFT of EPDM rubber waterproofing, 10,000 SQFT Slate Roofing, and over two miles of in-house fabricated gutters, downspouts, coping, and gravel guard. Finally, the multiple facades were tied together and matching metal soffits were installed. Because of the tight construction schedule, teams had to follow crews building-to-building in order to complete the roofing so that interiors could be completed on schedule. 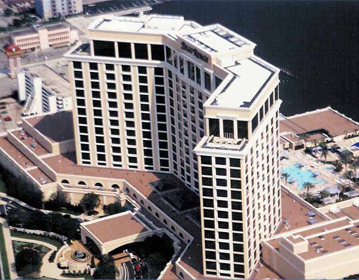 The entire roofing project was completed during a period of 18 weeks, within the 8 months of construction.